As part of filling up my house, I thought it would be a good idea to get some sort of book to place in the living room. This way, if I had company over and they were looking around, they could pull out this book and read through it. As it turns out, I was browsing Amazon when I found the full collection of Calvin and Hobbes on sale. To me, Calvin and Hobbes is one of my favorite series of comics, mostly because it contains a lot of wholesome humor with thought-provoking dialogue. The typical boyhood mind from Calvin combined with a whimsical Hobbes made for a fun read. However, like a lot of things from my childhood, it would seem a lot of youth today have no idea who this duo is. To be fair, Calvin and Hobbes only lasted for about ten years from 1985 to 1995. While it may be a dated comic, Calvin still complains about the same things that bothers kids and asks Hobbes the same philosophical questions that people dabble upon today. To me it shows the strength in writing of Bill Watterson, the cartoonist behind the series. Another thing that has disappeared from a lot of computer desks is the humble mousepad. While I was growing up with mice with trackballs inside, most mice are made with sensors that can generally track on most tables. However, we are no strangers to mousing surfaces. Today we have the Cooler Master MasterAccessory MP510-L, which is a large sized fabric surface. Does it hold relevancy for today's crowd and, more importantly, is it any good? Let us find out! 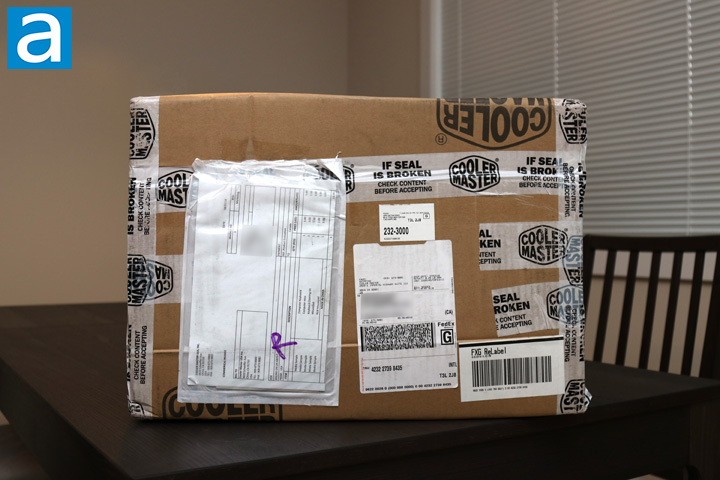 Today's review unit of the Cooler Master MasterAccessory MP510-L arrived from Cooler Master's offices in Brea, California. Traveling with FedEx and their ground service, this shipping container arrived in excellent condition with no real blemish to be concerned about. Inside, Cooler Master has packed a whole lot of stuff other than just the MP510-L, as you will see soon enough. These different peripherals, including the Cooler Master CK550 and MasterMouse MM531 have already been covered by my fellow editor Ben Joubert, and the rest will be looked at in the following weeks. 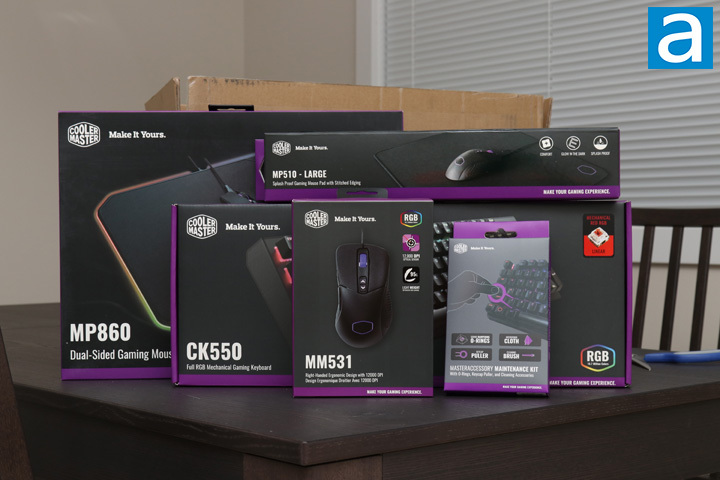 From all of these products, you can see that Cooler Master has stuck to its guns with its color scheme for its boxes. All of them, from mouse to mousing surface and keyboard to keyboard accessories, are enclosed in a dark grey and purple color scheme. Each product has their name shown on the bottom left corner with the Cooler Master logo and "Make It Yours" slogan on the top left. An image of the product can be found somewhere on the front. Specific to the MasterAccessory MP510-L, the large mousepad is printed here with several features listed such as comfort, glow in the dark, and a splash-proof surface. We will dive into these features, as well as others, later in our review. As you can see, we received the large size, but Cooler Master has small, medium, and extra-large sizes available. posted 10 hours and 43 minutes ago, with 11 posts. posted 12 hours and 58 minutes ago, with 8 posts. posted 21 hours and 34 minutes ago, with 2 posts.